When we started this process, we didn't have a site in mind, we didn't have a concept, and we didn't have a targeted final product. 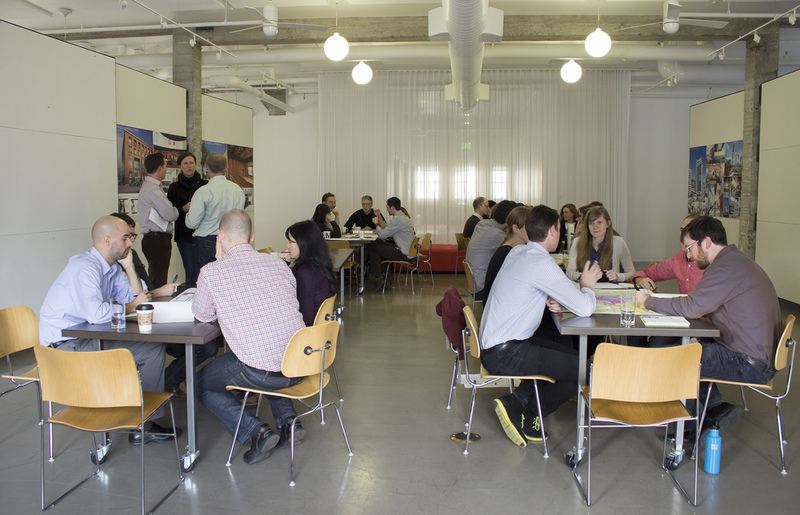 As a group of design professionals who live and work in Portland, our main motivation was to have a dialogue about the challenges and opportunities facing our city in this period of rapid growth, and to bring that dialogue out into a wider context. We began by setting up a whole-office design session, asking people to bring their passions and ideas to the table for study and conversation. We touched on energy production and housing issues, among others, before settling on the seed of Water Avenue Yards. 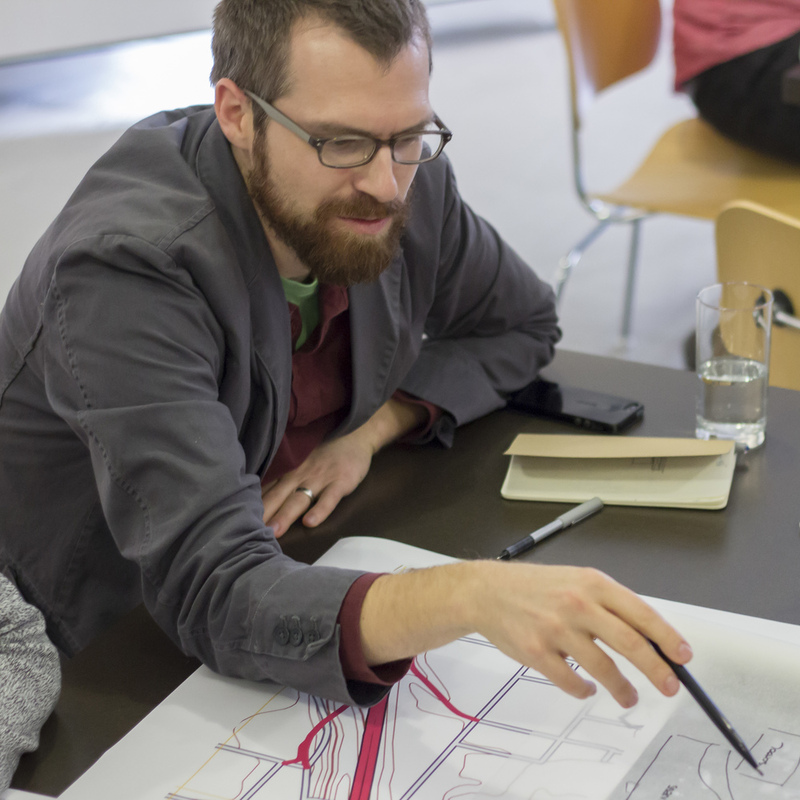 As architects and designers, we use intensive design sessions (known as charrettes) to brainstorm and tackle complex problems from multiple perspectives. But you don't need to be a designer to gather a group of curious people together and ask questions. 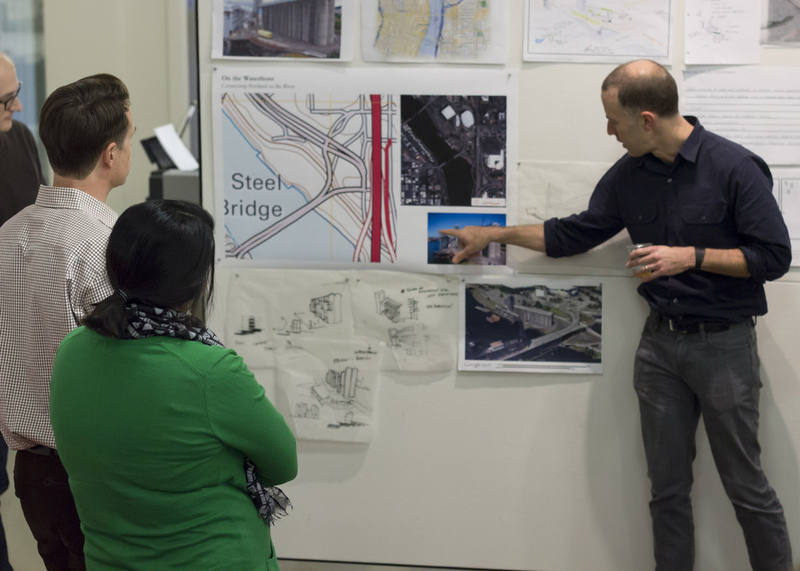 If our ideas for Water Avenue Yards inspire you to look at parts of Portland in a new way, we hope you'll consider organizing a charrette of your own! Google Earth is great. However without visiting a space in person, there's only so much you can learn. Since many of us commute over the Hawthorne bridge daily, or ride our bikes along the east bank esplanade, the Water Avenue Yards site is part of our picture of the city. But when you're trying to understand how a place could be different, we think it's critical to spend time understanding how it currently functions. We spent days walking the neighborhood, taking pictures of building textures and safety hazards, and cataloging amenities. Everything we learned informed our ideas and guided the design decisions we made. After absorbing the qualities of the neighborhood, spending time experiencing the site and observing the way it is used, we began a process of exploring its potential and the ways it could be developed that would serve both the City and the district. We sketched and debated and sketched some more. We considered a variety of possibilities, from the creation of a new ‘park’ to the development of an entire pedestrian precinct. In the end we agreed it was important that any development needed to feel like it belonged in the neighborhood while still providing a city-wide amenity. Improving the connection to the river and creating water access was a key consideration. Accommodating the vital commercial and industrial engines driving our economy was also critical. But do the civic and the private have to live in separate zones? Can’t business and recreation mingle? We felt the design approach should be flexible to adapt as needs change over time, with enough open space to host a variety of usages taking advantage of the stunning view. Through meetings with key civic leaders we learned about a number of complex issues around the site, including land ownership, street right-of-ways, storm water treatment and parking challenges. We’ve attempted to incorporate viable approaches to these issues in this proposal, while realizing that this idea will have to evolve if it is to become reality. We want to push public agencies to be flexible and creative and developers to consider a broader civic impact along with the bottom line. Our goal is to influence the thinking and issues that will be considered as this site is redeveloped.